“There’s always a bit of truth in legends,” Ashley Eckstein‘s Ahsoka Tano pointedly put it in Star Wars Rebels season two. 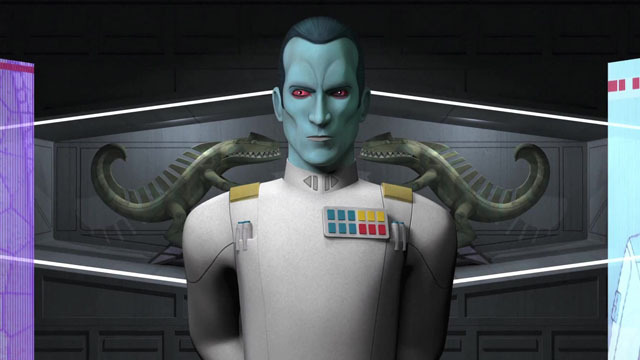 With the Star Wars Celebration reveal that Timothy Zahn’s classic expanded universe character Grand Admiral Thrawn is headed to the Disney XD series in season three, the line between stories that Lucasfilm has designated “Legends” and what is now considered the official canon has never been more blurred. 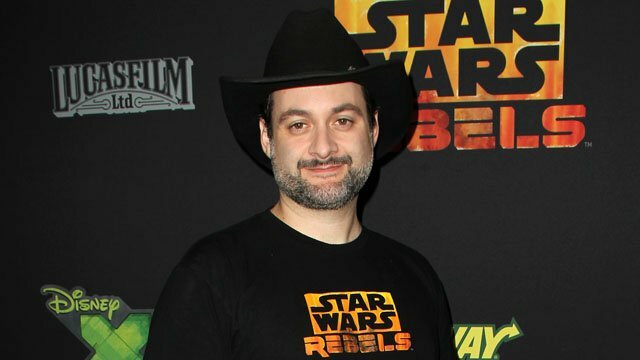 Dave Filoni has one of the guiding forces for the Star Wars universe since directing the 2008 feature film Star Wars: The Clone Wars and serving as writer, director and executive producer throughout the Clone Wars animated series and into Star Wars Rebels. Because Star Wars Rebels takes place prior to the events of A New Hope, Dave Filoni has an interesting creative challenge in telling new stories that are also influenced by major “historical” events. As such, a tremendous deal of planning goes into the stories that are told on Rebels and many surprises are kept deeply under wraps. Thrawn made his original debut in Zahn’s literary trilogy that launched with Heir to the Empire in 1991. At the time, the books represented a continuation of the Star Wars universe that picked up after the events of Return of the Jedi. Naturally, it was important for Dave Filoni to get Zahn involved early and, as revealed at the panel, the author is set to deliver the canon backstory of the new Thrawn in a new novel hitting shelves next spring. Fortunately, Timothy Zahn was delighted at the show’s approach to the Empire’s imposing blue-skinned Chiss. Even as Legends transition to the official canon, the canon is experiencing its own reevaluation. The Clone Wars‘ Saw Gerrera is set to make a reappearance in Gareth Edwards’ Rogue One, played by Forest Whitaker. Even the Star Wars Rebels characters themselves are getting a creative makeover as “realistic” versions of the characters have started to debut in the Black Series action figure line. 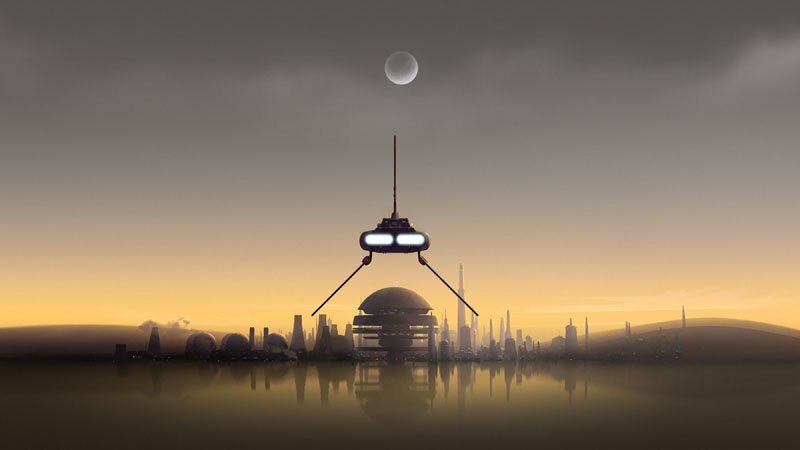 Moving forward, Star Wars Rebels has plans to bring the tone of the series closer to the look and feel of Rogue One as the clock ticks towards the events of A New Hope. That doesn’t necessarily mean that the series needs to come to an end, however. That being said, Dave Filoni has been eyeing a proper ending for Rebels all along. He’s just not going to reveal exactly when and how that ending may come about. Star Wars Rebels Season 3 will premiere on Disney XD this fall. 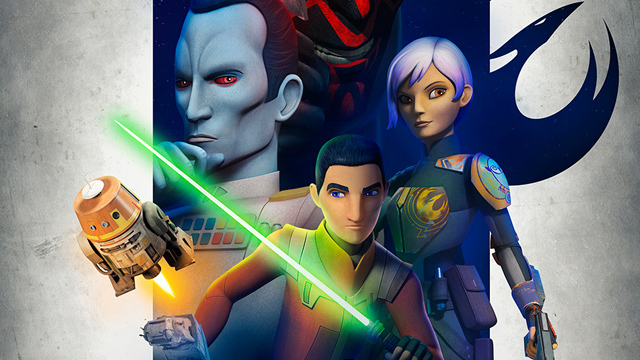 Check back for updates on the show and the broader Star Wars canon between now and then and tell us what you want to see from Rebels in the comments below!